My name is Mandy ,I was born and bred in Dublin in 1980 . I'm a mother of 3 children. One night up in the local pub, there was an Open-mic on and they were looking for talent; comedians, musicians and poets. It's fair to say I can resist anything but temptation; so I threw a few one-liners and the next thing I know, a former RTE (Radio/TV) Producer offers me a gig hosting a live stage comedy show called Comrades. Following the comedy show I landed a spot hosting a fashion show, stakes were now getting pretty high. I roped in my LOVE/HATE (hit television drama series) actor and pal John Connors to put me through the paces and double job as special guest on the night. Mission Kawaii is a colourful new street fashion brand from the UK featuring original prints, and playful designs with a focus on retro pop culture; our collections are ethically sourced and manufactured within the UK. Mission Kawaii was founded in March 2017 by fashion Student Alana Barker who is heavily inspired from the Tokyo fashion scene. We are delighted to launch our first collection at Liverpool Fashion Week and for you to become a part of our exciting and playful world! Uncommon Routes is a new T shirt brand devised in New York and inspired by the 3-letter codes assigned to every airport in the world. Sometimes outrageous, always entertaining, Uncommon Routes is the brainchild of two North American designers who have previously worked with leading fashion brands including Chanel, Victoria’s Secret, Levi Strauss and Timberland. The team also created the P.Don character – a satirical take on President Donald T. – featured in another collection showing at Manchester Fashion Week. Uncommon Routes couldn’t be prouder to launch at Manchester Fashion Week and is delighted to be part of the UK’s leading regional fashion event. To celebrate the launch, Uncommon Routes has designed an exclusive Manchester Fashion Week collection. And Fashion Week attendees enjoy a special 10% discount on all apparel at www.uncommonroutes.com with code TEN OFF, which corresponds to a 7,403 mile flight from Tongren, China to Omaha, Nebraska. Flencirose Basera is a Zimbabwean born couture fashion designer based in Manchester, UK. She credits her inspiration to her rich cultural and vibrant African background and heritage! Her mother ,Maggie, has been her greatest influence. Flencirose’s designs bring out the depth and strength of endurance and harmony within Her distinctive flattering designs exude natural beauty, strength & style for the predominant female body shape. The merging of tailoring, unique techniques and fabric application with culture and edgy, unique and fun trendsetters is what describes her designs. Our aspiration has always been to create leading edge designs which excite and enthuse our target aidience. Our focus on the quality of the manufacture will make our pieces stand out amongst their peers which can only develop from our unique combination and consolidation of 20 yrs of fashion buying and designing. We give close attention and vast amounts of time spent to sourcing unusual, exquisite and high quality fabrics including 100% silks and organza which will surely be a stunning and unique collection to impress at Liverpool Fashion Week 2017. Owned by Jenni Orsini, the daughter of Ciro Orsini, world famous for his global Italian restaurants “Ciro’s Pizza Pomodoro” of Knightsbridge, Jenni brings you a boutique with a difference. We are a beauty, fashion, aesthetic & holistic salon boutique based in the heart of Lancashire, for ladies, gentlemen and transgender of all ages. Jenni is the Number 1 UK importer and distributor for an internationally renowned fashion couture company, Kiki Riki, where you can find many edgy, exciting, unique designs, empowering todays woman to unleash her inner wild side & embrace styling with a difference! From celebrity styling, casuals, to glamour, to an exciting range within our “50 Shades of Turkish Delights” do you dare to step out of your comfort zone? With design & manufacturing all in-house from Istanbul, you can be assured of very high quality, designed for the modern lady, at affordable prices. Step inside a world of uniqueness at www.esserebellaboutique.com & please keep visiting as we introduce more exciting lines daily. Kiki Riki introduce new fashion designs every few months, constantly thriving to bring you upto date with the latest fashion trends and catwalk styles. 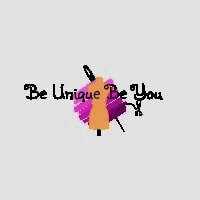 My name is Sherree and my Brand Name is BE UNIQUE BE YOU. Shapes … traditional silhouettes with a twist of amazing designs. Cordion pleats, architectural cut outs, flared in double layering An explosion of joy with the colours of these species. Colours….. Wine , blue , yellow, black , green, Ivory, They are natural featuring the beauty of nature, representing the diversity of the mantodea family and the human kind. Styles ...The garments are constructed with 1960’s attitude, embellished in a modern twist. Beautiful cuts with Cordion pleats used as darts. The mantodea family have influenced the creation of amazing garments. The Akani woman is a woman with attitude, elegance. The creativity , colours and garment cannot be missed. The garments remain timeless and conservative. Akani continue their debute of dress the sophisticated.